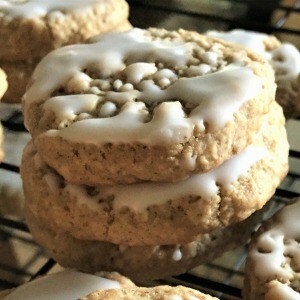 December 27, 2016 0 comments on "Iced Oatmeal Cookies"
It’s been awhile since I’ve found a new cookie recipe that I really like, so this recipe was a real surprise. 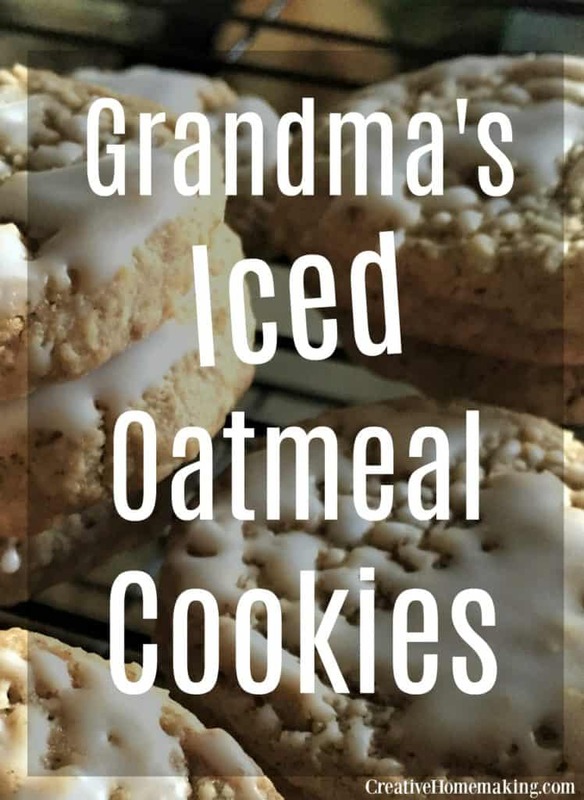 I’ve never seen homemade iced oatmeal cookies before. To get this dough just the right consistency, you need to place the rolled oats in your blender or food processor and blend them just for a second. Don’t grind them to powder, you just want them to be more crumbly. In a large mixing bowl, mix together sugar, brown sugar, and butter until well blended. Add eggs and vanilla extract. Slowly add in flour, baking powder, baking soda, salt, cinnamon, nutmeg, and oats, until well blended. Roll dough into 2-tbsp. balls and place them on a greased baking sheet 2 inches apart. Bake for about 10 minutes, or until the bottoms of the cookies are starting to brown. Cool on the cookie sheets for a few minutes before transferring to a wire rack to cool completely. For the glaze, mix together 2 c. powdered sugar and 3 tbsp. milk. Carefully dip the top of each cookie into the glaze and let the excess glaze drip off. Place cookies back on wire racks until the glaze hardens. Like this recipe? You might also be interested in my secrets to making better cookies. 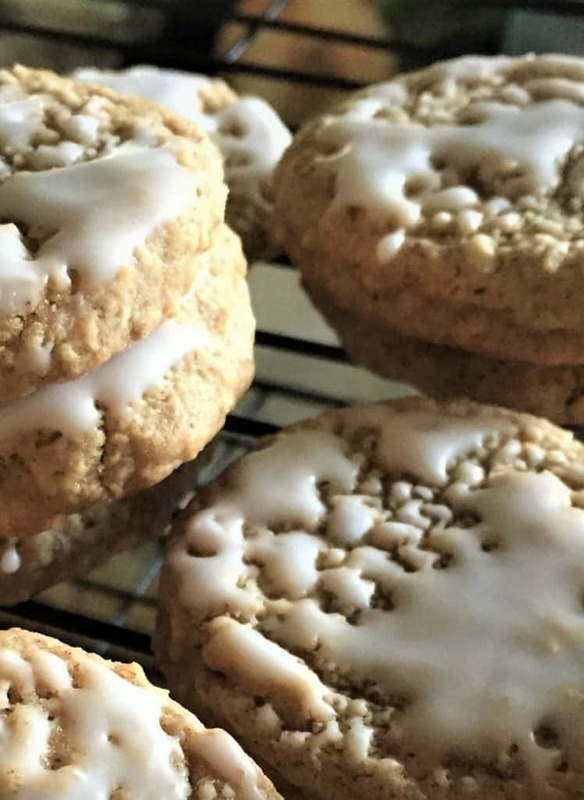 Follow my Favorite Recipes and Sweet Treats board on Pinterest.